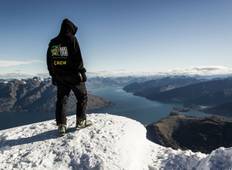 Find a Ski, Snowboard & Snow trip that explores New Zealand. There are 7 tours to choose from, that range in length from 5 days up to 7 days. The most popular month for these tours is July, which has the most tour departures. "Burto had to take over from Jenny ? because she was sick but it was seamless .Weather..."
"This trip has definitely been one of the best ski experiences of my life. 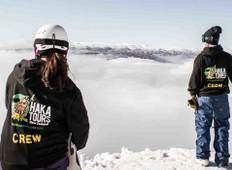 I have..."
"Just done a 7 day Snow Safari with Haka Tours and I had the time of my life! Things..."